The relations between Russia and a number of European states deteriorated following Crimea's reunification with Russia in 2014. Greece together with other European states responded to the reunification by imposing several rounds of anti-Russia sanctions. YALTA (Sputnik) – The head of Greece's left-wing Popular Unity party, a former energy minister, said Monday at the Friends of Crimea international forum that Greece should operate independently of US foreign policy. "We need a Greece that has a renewed military relationship with Russia. We think that after today’s conferences, when we return to Greece, there will be mutual support between the two countries," he said. He stated that Greece needed renewed relations with Russia and Crimea, in order to restore its economic health. "Greece does not reap any benefit from a Cold War with Russia and Crimea. 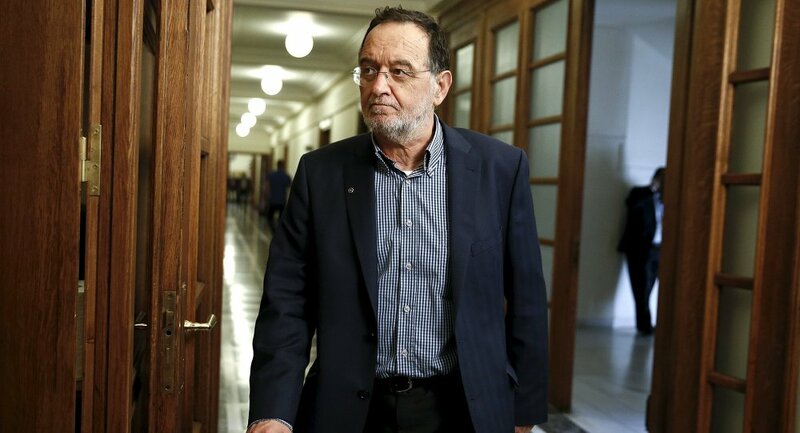 Greece is undergoing a difficult crisis period, so it needs political support from outside," Lafazanis said. RT RSGovUK "RT mfa_russia: Foreign delegations are arriving to #Crimea to take part in International Forum #Friend… https://t.co/JdajTBL2Bf"
— RUSSIAinUK 🇷🇺 (@RUSSIAinUK) 6 ноября 2017 г. Earlier in the day, the Friends of Crimea international two-day forum kicked off in the Crimean city of Yalta. The annual conference titled "Crimea in the international context" gathers around 90 participants from nearly 30 countries. Earlier in October, the Crimean government announced its plans to create an international association called "Friends of Crimea" during the forum.